For the river Siret, see Siret River. 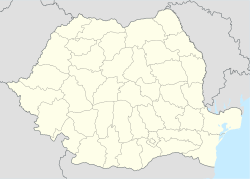 Siret is a town of Suceava County in northeast Romania. The town is found on the right bank of the Siret River. Ukraine borders Siret to the north. 9,358 people were living in Siret as of 2002. Wikimedia Commons has media related to Siret.